The specs for Nvidia’s hotly anticipated GP102 powered GTX 1080 Ti have been leaked & it’s quite the performance beast. This one is hot off the trail of recent Pascal leaks pertaining to the GP102 GPU and the Nvidia GeForce GTX Titan X Pascal. Based on the specs we’re bringing you today the 1080 Ti could very well be on its way to render its bigger brother the Titan X Pascal completely obsolete. Now, to the specs. According to the leak the GTX 1080 Ti features a cut down GP102 GPU. Packing 3328 CUDA cores, 208 texture mapping units, 160 render output units and a base clock of 1503mhz for a total of 10 teraflops of computing horsepower. 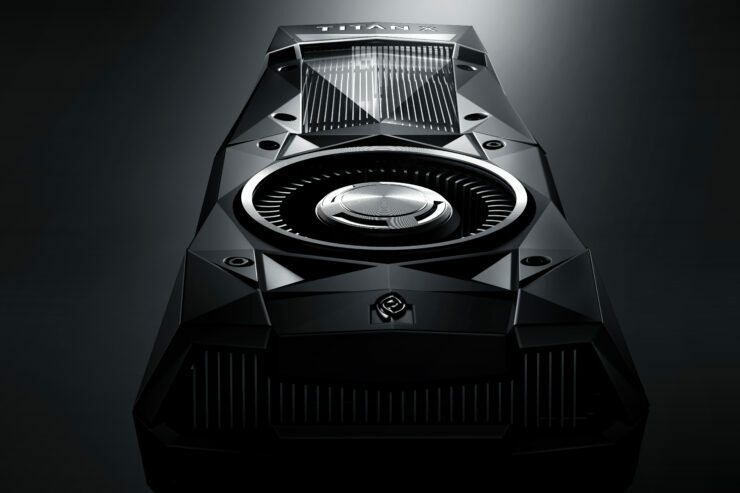 Titan X Pascal Performance For A Lot Less, A Repeat Of The 980 Ti vs Titan X? If you’re a PC gamer or a hardware enthusiast that’s been paying close attention to the GPU market for the past couple of years then this rumored GTX 1080 Ti shouldn’t surprise you at all. The cut back versions of any graphics chip are almost always the better buy. They deliver a huge chunk of the performance of their higher-end counterparts at a fraction of the cost. We’ve seen this happen with every graphics generation that both Nvidia and AMD have introduced for years. We’ve seen it happen with Nvidia’s GTX 980 Ti & Titan X, with the 970 & 980, with the 780 Ti and Titan, with the GTX 670 and the 680. And again the exact same trend on AMD’s side. The R9 390 offered 90% of the performance delivered by the 390X for a fraction of the cost. We’ve seen it with the 290 and 290X, 7950 and 7970 and the trend goes back more than a decade. In every one of those examples the cut back version of the very same chip delivers most of its counterpart’s performance at a much lower price point. This is why in any given generation of graphics cards, gamers have always overwhelmingly chosen to to go with the second fastest graphics card in thelineup. It’s almost certainly always the smarter decision. You just get a lot more for your money. The GTX 1080 Ti is definitely not an exception. If you’re a gamer that’s looking to upgrade to a new higher resolution monitor or just want more performance for any number of good reasons then the GTX 1070 will be the Pascal card you’ll want to get. 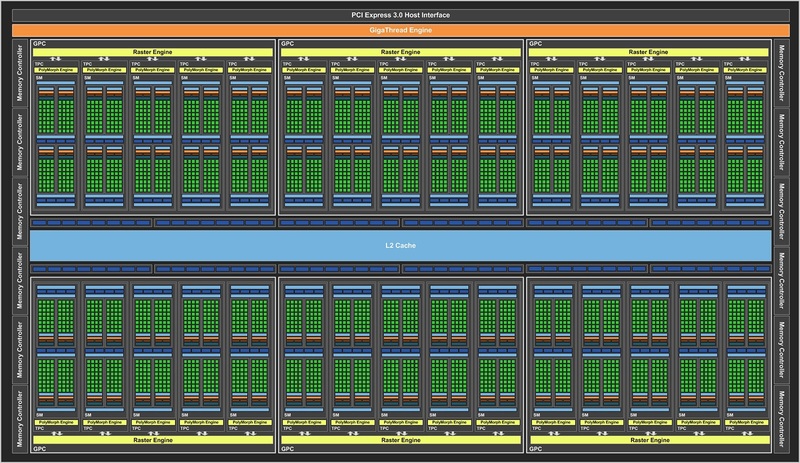 Inside Nvidia’s 12 billion 471mm² GP102 GPU that powers the GTX Titan X there’s a total of 3840 CUDA cores, grouped into 30 Streaming Multiprocessors arranged into sixGraphics Processing Clusters. Each SM houses 128 CUDA cores. The 1080 Ti having 3328 CUDA cores means we’re looking at four SMs fewer than the Titan X & eight fewer than what the full chip has . Inside every SM there are eight Texture Mapping Units and inside every GPC there are five SMs and a total of 16 Render Output Units. Cutting four SMs means the GTX 1080 Ti ends up with 208 TMUs as opposed to the GTX Titan X’s 224. Despite the fewer CUDA cores, TMUs and ROPs, the GTX 1080 Ti will still have chart topping performance. Which isn’t entirely too surprising. For example the GTX 980 had 23% more CUDA cores and a higher clock speed compared to the GTX 970, but it ended up roughly 15% faster. We see this quite often with all full vs cut back GPUs. And the 1080 Ti will surely exhibit similar behavior when compared to the Titan X Pascal. This is because not all resources inside the chip are disabled proportionally to the number of CUDA cores that are lasered off. Other on-chip engines are always left untouched. In this case the Raster engines are such an example.What this means is that while we end up with fewer CUDA cores, these CUDA cores have access to proportionally more resources which in turn means we end up with more performance per CUDA core. All in all the leaked specs aren’t entirely too surprising. What still remains a mystery however is when Nvidia will launch this card. In all liklihood we’re looking at an early 2017 launch. Pricing will entirely depend on how competitive AMD’s upcoming high performance VEGA 10 GPU ends up being.